Building a website means starting with a plan. 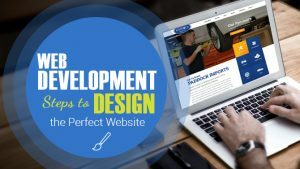 The plan has to include all of the components of the web design. The plan is to start within a certain framework. This must have the fundamentals of being able to fit in the content. Also, allow users to go through specific actions. It also encompasses the navigation components that a website must possess. The grid is going to help keep control of all the content that will be placed on the website. It acts as the guideline of what can be placed where. When choosing the fonts and colours, it is important to look at those that are being used in other types of media. For example, that which is used in the site’s brochures and business cards if they exist. This is all part of the brand building for the website. No web design is normally completed the first time around. It will always need some fine tuning and testing. There are many components that need to be tested. Visitors to websites have high expectations. If these are not met, then clients will soon leave. Images are always going to play an important role in web design. Each site will be unique in its requirements. The images have to be properly sized and applicable to the site itself. Care has to be taken in the use of images that could be copyrighted. Web designers have the responsibility of making sure that there is no misuse of the images being used. Ideally, they should use those provided by the client. The layout has to provide space for the content. Not every web designer provides the content. Often this is left up to the client. Most like to produce their own or have it professionally done for them.